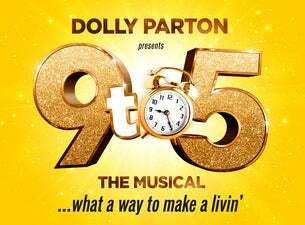 9 to 5 The Musical is getting down to business at London's Savoy Theatre in the West End - where it's playing for a strictly limited season until 31 August 2019. The show stars Louise Redknapp as Violet Newstead, Amber Davies as Judy Bernly, Natalie McQueen as Doralee Rhodes, Bonnie Langford as Roz Keith and Brian Conley as Franklin Hart. It features a book by Patricia Resnick (the legendary film’s original screenwriter) and an original Oscar, Grammy and Tony award-nominated score by the Queen of Country herself, Dolly Parton. Inspired by the cult film this hilarious new West End production is about teaming up, standing up and taking care of business!